Renaissance astronomer Copernicus defied conventional wisdom when he put the sun, not the Earth, at the center of the solar system -- and that’s just the kind of thinking Copernicus Toys wants to inspire. Science kits from Copernicus Toys are a true sensory experience. 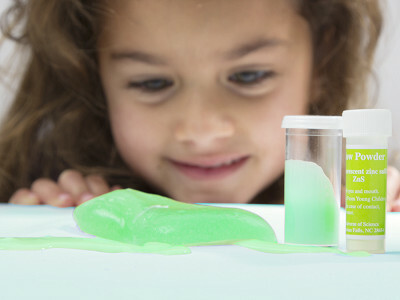 Kids can see, hear, touch, smell and even taste the experiments. With the Glowing Putty, Gels & Slime Kit, kids can do 15 stretchy/bouncy/fizzling activities that explore the chemistry behind gels, polymers, and phosphorescence. The Edible Chemistry Kit is all about experiments you can eat: fizzy drinks, color-changing jelly, polymer pudding and more. With the Cool Blue Light Experiment Kit, kids trigger chemical reactions to make light. Among the 11 illuminating activities are experiments to build a hemoglobin detector and make a penny glow. 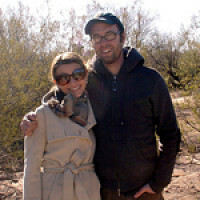 The husband-and-wife team of Avrom and Peggy Tobias runs Copernicus Toys today. The company was founded by Avrom’s parents, who owned a toy store and saw a need for more exciting activity kits to inspire kids’ curiosity. Avrom and Peggy are continuing the family tradition and creating their own hands-on discovery kits that budding scientists of all ages can enjoy. Kids get to play the mad scientist, and adults get to rediscover the fun of learning. Hi All! We’re so happy that the Daily Grommet team has chosen our Chemistry Kits to feature today. At the labs at Copernicus Toys we are always busy thinking of more Good Smart Fun to help you stay curious. We hope you are excited to check out these kits for yourself. Hooray for chemistry! It would be great if there were more kits like this available for younger children. I think it's important to stimulate this sense of discovery at every age. @Allison Maguire Hi Allison, yes we think kits like these are fantastic for learning. It is possible for younger children to take advantage of this kit with adult supervision and help. Renaissance astronomer Copernicus defied conventional wisdom when he put the sun, not the Earth, at the center of the solar system -- and that’s just the kind of thinking Copernicus Toys wants to inspire. Science kits from Copernicus Toys are a true sensory experience. 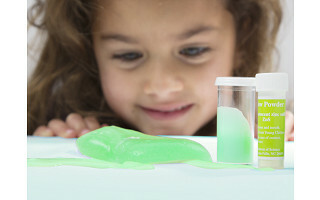 Kids can see, hear, touch, smell and even taste the experiments. With the Glowing Putty, Gels & Slime Kit, kids can do 15 stretchy/bouncy/fizzling activities that explore the chemistry behind gels, polymers, and phosphorescence. The Edible Chemistry Kit is all about experiments you can eat: fizzy drinks, color-changing jelly, polymer pudding and more. With the Cool Blue Light Experiment Kit, kids trigger chemical reactions to make light. Among the 11 illuminating activities are experiments to build a hemoglobin detector and make a penny glow.